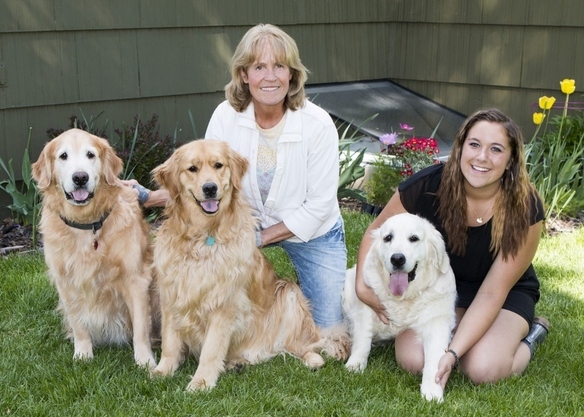 Meet our most incredible Oregon Mist Goldens and Montana Mist Goldens Pick of the Litter families! 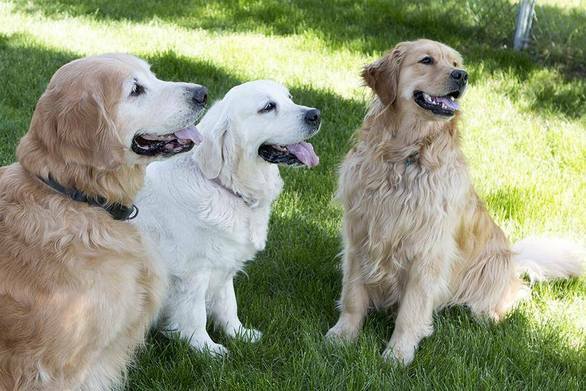 This page is devoted to our wonderful Pick of the Litter Families! 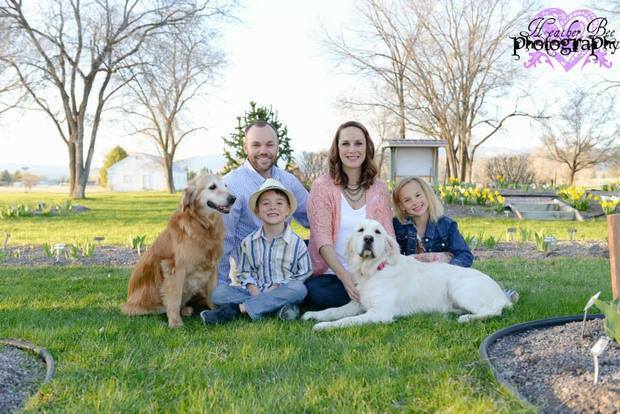 We are the Munds, a Missoula, Montana family who brought Hanna into our lives through Montana Mist Pick of the Litter Program. 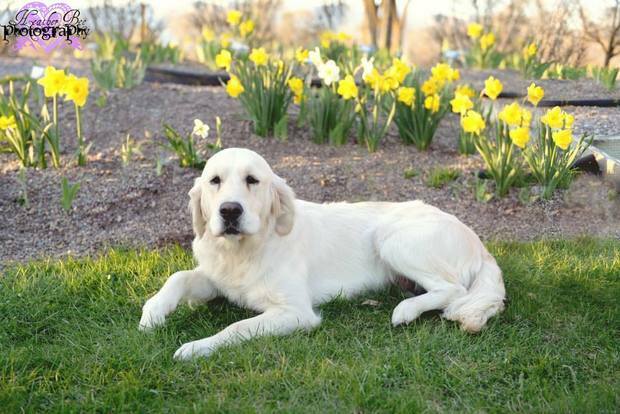 Initially during our dog search, we had been thinking about getting a puppy and I have always loved the look of English Cream Golden Retrievers. However, when I saw Miss Hanna's picture, I was so intrigued and I just knew she would be the perfect fit for our family. We have a 10 year old Golden Retriever (Bella) and I was worried about stressing her out with a puppy, so Hanna's age seemed ideal. The first time we met Hanna, we were so amazed by her calm temperament and easy going nature. When she was described as "sweet" by Judy, I knew then it was the absolute truth. Since Hanna has come into our home, she has been nothing but pure joy! She sleeps by my side and is my constant shadow. Even if I need to walk from one end of the house to the other 50 times in an afternoon, she is there with me for every trip. Hanna and Bella instantly got along and enjoy a game of fetch together as often as we are willing to throw balls. Hanna is also great with our children (ages 8 and 6), and she even made friends with our VERY shy cat the second day in our home. 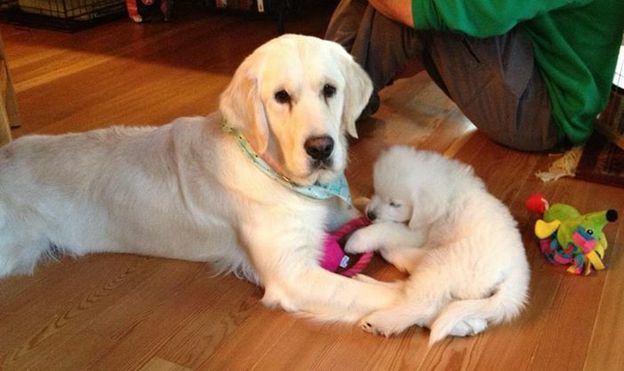 My parents adopted her last puppy Junior (now known as Boris), and that has shown me what a good mommy she is too. She helps show him where to go by putting her paw on his back and steering him in the right direction, and she has recently been teaching him the rules of puppy play. We look forward to making many great memories as they grow up together. She is such a fantastic addition to our family and we feel so lucky to have her. 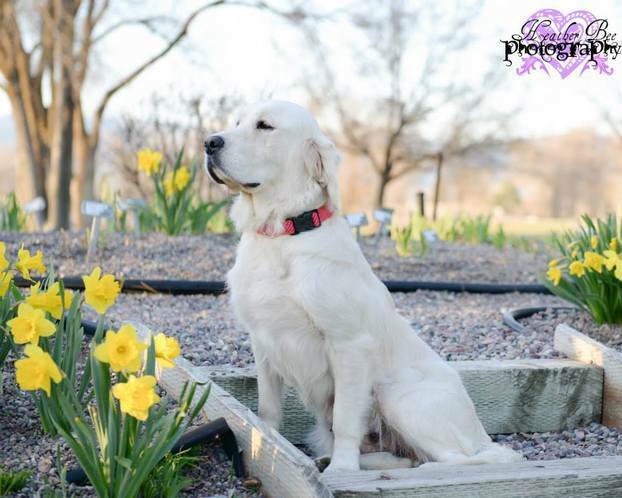 We wish all of Hanna's puppy families and future litter puppy families the same joy she brings us each and every day! 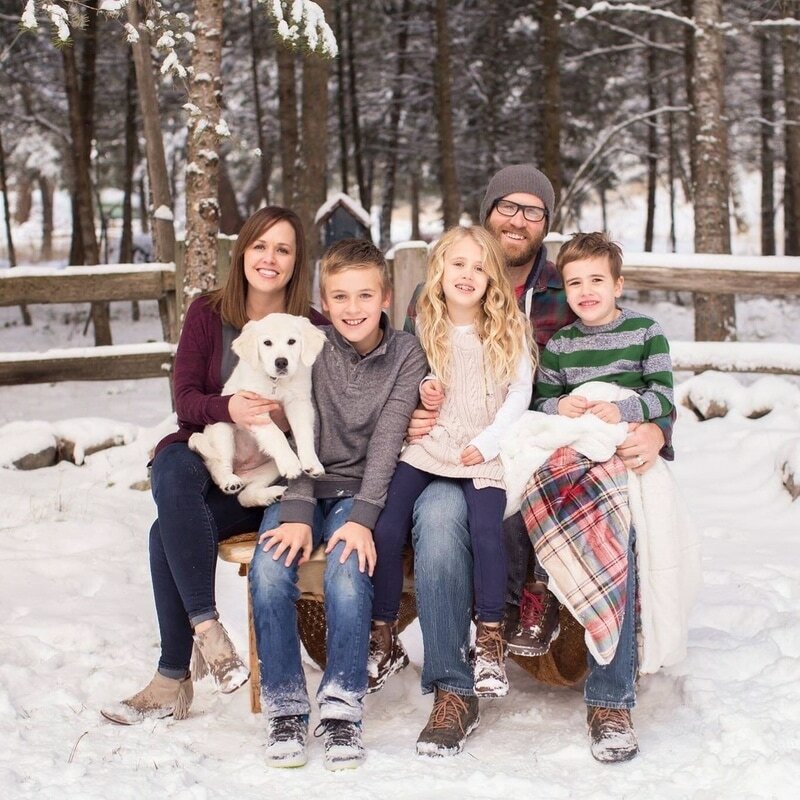 Halle and I had the good fortune of bringing Miss Izya home to Whitefish to join her new brothers, 10 year old Alix and 1 ½ year old Zamboni (Zami) in mid May. I feel so blessed to have stumbled into Judy and her family, due to a mis-read sign on a vehicle one snowy, slushy day while driving to Missoula! The Klingler family has been around the world and come back home to Missoula. 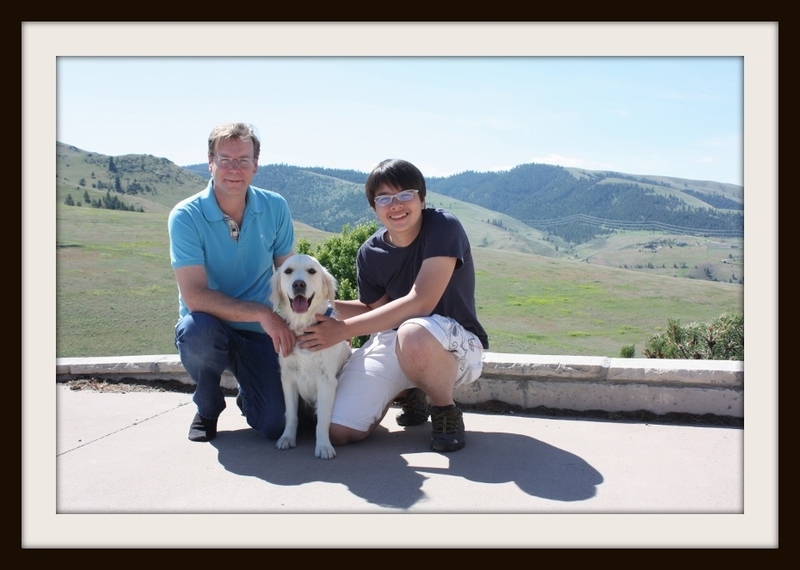 Having worked in Asia for over fifteen years and recently relocated to Missoula, Brett and Christian wanted a dog that would instantly take their hearts away. We welcomed Sophie into our family back in April and it was a wonderful decision, she has been an absolute joy for us all. She is such a love at the house and makes everyone at home happy. Sophie loves to be smothered with affection and to snuggle up with the family in the evening, she is a splendid dog and always happy. It's been a great experience working with Judy at Montana Mist, I would and DO recommend them to everyone looking for a loving dog. We welcomed Rosie into our family in November 2016, and she has been such a joy to us since. 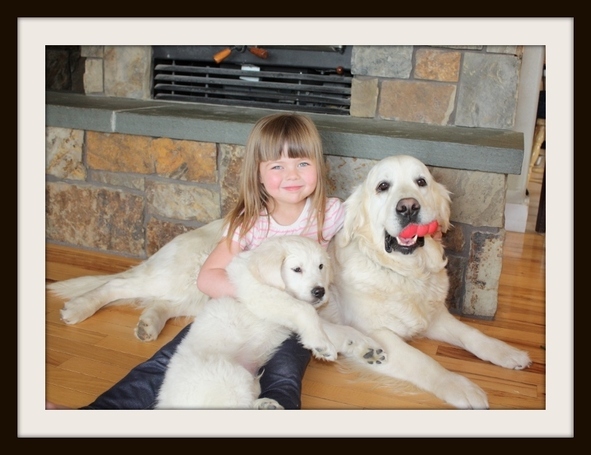 She is amazing with our kids playful, sweet and affectionate. Rosie fits right in and loves our cats and chickens as well. Montana Mist has been great to work with, whenever we’ve had a question or concern they are right there for us. Judy and Lini are wonderful, and it’s great to know that they are not just breeding puppies but genuinely care about each dog. Are YOU interested in becoming a Pick of the Litter Family? Click here to apply.